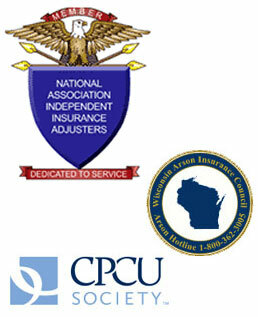 Established in 1986, Insurance Adjustors, Inc. has upheld a reputation for being a premiere claims service provider with a primary objective of exceeding our client's professional standards and ultimately surpassing their expectations. This objective is achieved by cultivating close relationships with our clients and truly taking the time to listen and care for the insureds who have sustained a loss. Our primary goal is to be your first choice when a difficult or complex claim arises and requires the strategic touch of an experienced claims professional. Our company has successfully reached closure on over 30,000 insurance claims, and we constantly strive to improve upon our last one. IAI is available 24 hrs a day to respond to a loss, and by assigning a claim to our office, you are assured of immediate contact and inspections with active and diligent progress made toward settlement of the claim. We consider it a privilege and an honor to be an extension of your company. By assigning a claim to IAI, your organization's performance metrics become an integral part of our service standards. Please contact us to get started and experience the quality and value we have to offer your organization.